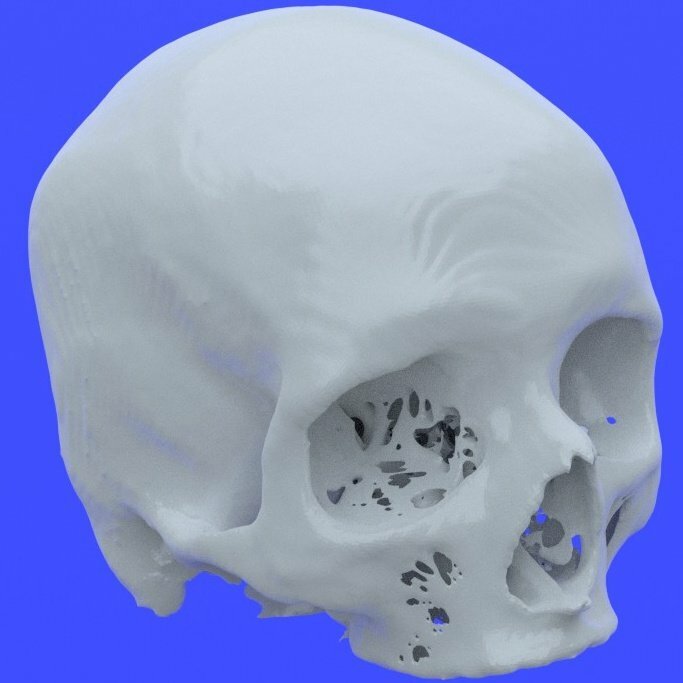 Automatically convert CT scans into 3D Printable Models for Free. Free and Easy Medical 3D Printing Software for Converting DICOM to STL. democratiz3D is an easy and automatic online software tool replacing very expensive commercial software. Accomplished in four easy steps. Step 1: Anonymize your scan by converting DICOM to NRRD in this quick, 1 minute step. Here's how. Step 2: Upload your NRRD to democratiz3D. Fill in processing parameters. Step 3: Download your error-free STL model. Step 4: Send your STL file to a 3D printer and print! democratiz3D currently works with CT scans and not MRIs. Not sure if you have an MRI? Here is how to tell the difference. It's Easy. democratiz3D is designed to be used by anyone. You don't need to be an expert in medical imaging or segmentation software to use it, unlike alternatives. It's Fast. Upload your scan and your model is usually ready in under 20 minutes. Even experts can take much longer than that to manually create a model. It's Efficient. While democratiz3D is working on your model you can do other things. You can even batch process and upload multiple scans simultaneously. It's High Quality. Output models are error-free and ready for 3D printing. Extraneous objects in the scan (EKG leads, wires, head rests, etc.) are automatically removed. Models have high detail, up to 2.5 million polygons. It's Free. All basic services are free and private. Subscribers get unlimited access to premium services. Regular members can also get free access to premium services if they share their models with the community. Learn more. 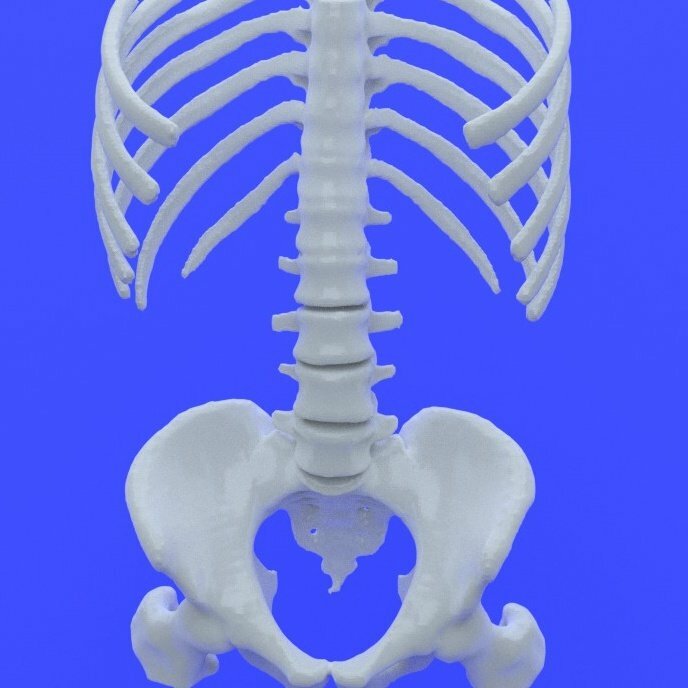 An easy and free way to make 3D printable bones from CT scans. 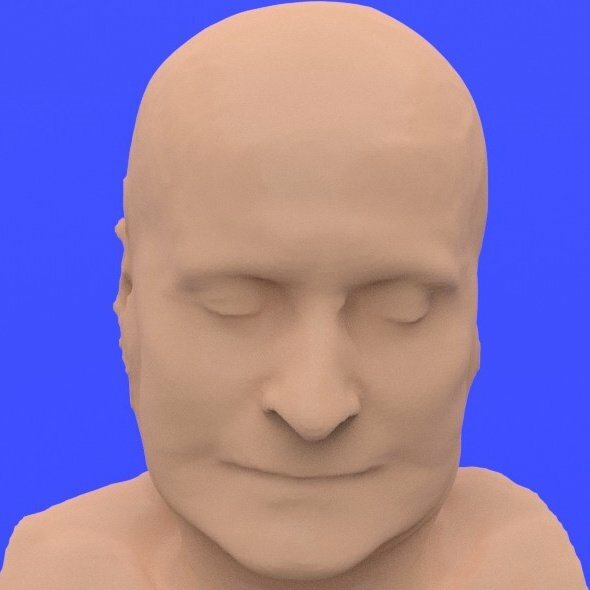 Create 3D printable medical models with democratiz3D. Regular members will get full access to all standard features, including automatic conversions of CT scans to STL bone, muscle, and skin model files, and can keep their files private. 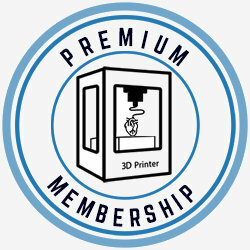 Regular members can also have access to Premium services, including ultra quality and scan conversions to Very Detailed Bone or Dental STL models for a small per-file fee, or for free if they elect to share their file with the community via our Pay or Share program. Need the highest quality and don't want to share? Get a Premium Membership. You get unlimited conversions on all the standard operations plus Very Detailed Bone and Dental operations and the highest quality levels, and you can elect to keep all your files private. Ready to Get Started with DICOM to STL Processing? To process your file Launch democratiz3D. To use democratiz3D you must be logged in to your embodi3D account. Signing up is easy. If you run across any problems or have ideas for improvement please contact us. We are currently running version 0.96 (beta). See version history for latest improvements. Commercial medical 3D printing software often includes a hefty upfront licensing fee along with additional fees for training and support. For novice users or organizations just learning medical 3D printing such a high cost can make bioprinting inaccessible. Not to mention the time needed to learn the software. Another option is to download and install open source software. We have several tutorials posted on embodi3D.com which guide you through the steps of converting a DICOM file into a file ready for 3D printing using open source software. While the dollar cost is low, a large amount of time must be devoted to master open source methods. We now use democratiz3D for our DICOM to STL conversions. It saves us time and we believe you will find it very helpful as well. democratiz3D is the best DICOM to STL conversion software tool available online. It is free, easy to use and most files are automatically processed in under 20 minutes. The alternatives are costly, take weeks or months to learn and even then, converting a file still takes several hours. With democratiz3D you can complete other tasks while you wait for the DICOM file processing to complete. Digital Imaging and Communications in Medicine, also known as DICOM, is a standard format which allows the easy transfer, processing and sharing of medical image information. This standard format provides a protocol for sharing across many different medical devices and systems. DICOM is widely used in hospitals and outpatient imaging facilities. Your dentist is probably using DICOM as well. Many different medical imaging services including MRI, ultra sound, x-rays and CT scans use DICOM. democratiz3D is an easy and free online service that converts a medical CAT scan into an STL file and optimizes it for 3D printing. democratiz3D is develop by embodi3D, the leading online resource for medical 3D printing. Once DICOM processing is complete you can download your STL file, share it with the embodi3D community, or sell it in the Marketplace. To use democratiz3D, your medical image file must be in the proper DICOM file format (dcm). CAT Scan to STL conversion is a multi-step process in medical 3D printing and converting to NRRD format file format is the first step. democratiz3D processing converts an NRRD file to a file with the .stl extension. The STL file is then used with a 3D printer to make the anatomical model. democratiz3D is currently optimized to automatically process DICOM files derived from CT scans. The ability to convert DICOM files from MRI and other modalities is planned for a future release. 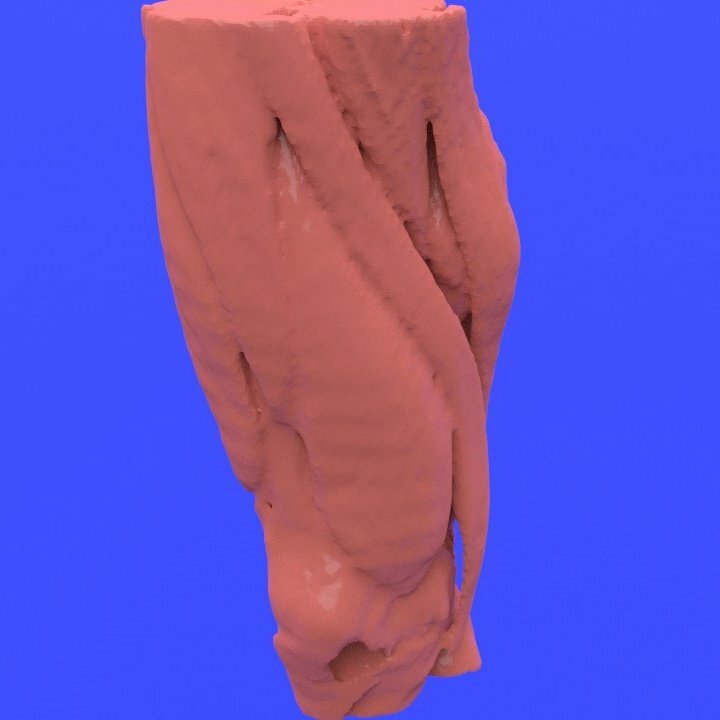 What Medical Images Can You Convert to STL Using democratiz3D? There is an endless number of ways democratiz3D is used for 3d printing medical organs. Essentially you convert medical images into 3D printable files. Dicom to STL. democratiz3D quickly makes 3D printable bone models and requires no prior knowledge of medical imaging or 3D printing software. Your first model can be completed in 10 minutes. Skin models show an exact replica of the skin surface. The finest details are captured, including wrinkles and veins underneath the skin. Create accurate anatomic muscle 3D printable models. Muscle models show the detailed musculature by subtracting away the skin and fat. 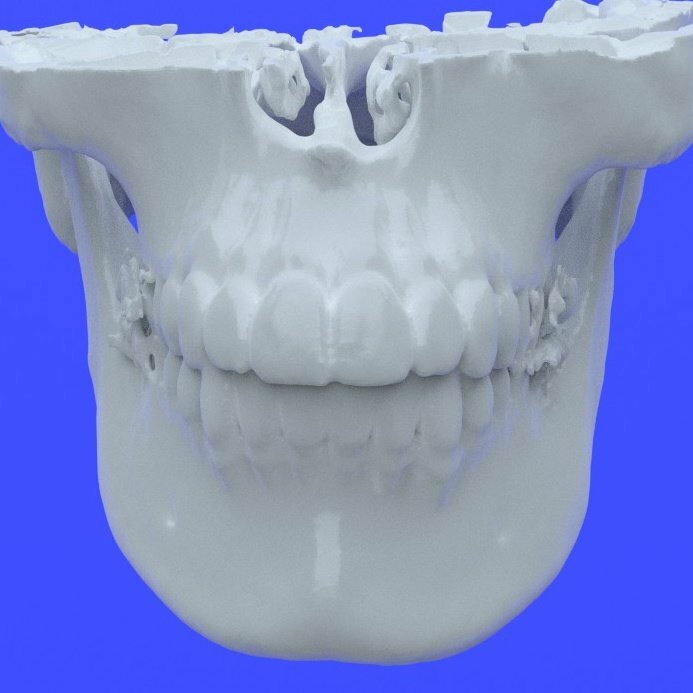 Specialized dental models are realized when converting a dental CT into a high resolution STL file by using the democratiz3D premium dental operation. Vascular 3D printed anatomic models are possible as well.